In 1996, while attending Equitana in Louisville, Kentucky, Gene Gilbert, owner of Enterprise Farms, saw her first Caspian horse. These tiny horses, long thought to be extinct, were rediscovered in Iran by an American, Louise Firouz, in 1965. These little horses are neither ponies nor miniature horses. They combine all of the features of a horse with the size of a pony. 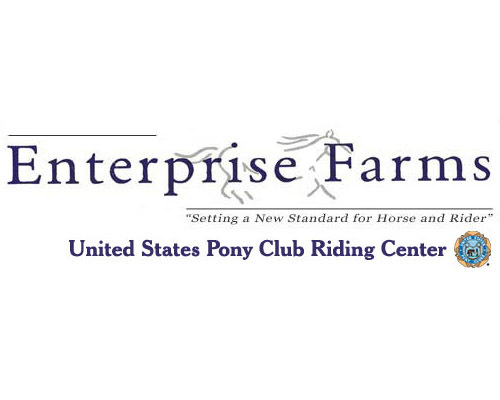 To the delight of their riders, Caspians participate in the lesson program at Enterprise Farms. They are the ideal mount for the small rider. Enterprise Farms is proud to introduce its youngest additions, EF’s Laleh and her “older” yearling sister is EF’s Ladan. These two beauties were named after the conjoined Iranian twins who died during surgery to separate them. The twins’ names were selected because Caspians come from Iran, too! Astara Attar, sire, is owned by Enterprise Farms and Michelle Swank. MCC’s Javaneau, dam, is owned by Enterprise Farms. We teach the first-time rider through the advanced, upper-level show team. We also offer sales and leasing programs, competition training for horse and rider, children’s holiday and summer camps, birthday parties and special events. Enterprise has a host of outstanding trainers who were selected based on their expertise and teaching abilities. Our horses and ponies suit every level of rider while our lesson packages make riding affordable. 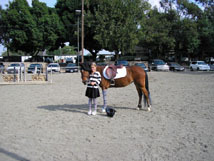 Enterprise Farms is located at the Paddock Riding Club, adjacent to Griffith Park in Los Angeles. These fabulous facilities include access to six arenas, all of which are lighted and have all-weather footing.